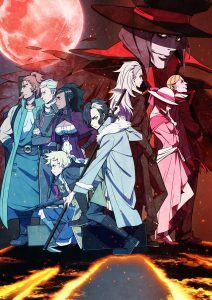 Anime Expo 2018 to host Sirius the Jaeger U.S. Premiere! We are honored to host the U.S. premiere of the upcoming original anime series, Sirius the Jaeger! Directed by Masahiro Ando (Sword of the Stranger, Snow White with the Red Hair, Under the Dog) at P.A. Works, the series also features original character design work by Kinu Nishimura. Be sure the official website for more information!